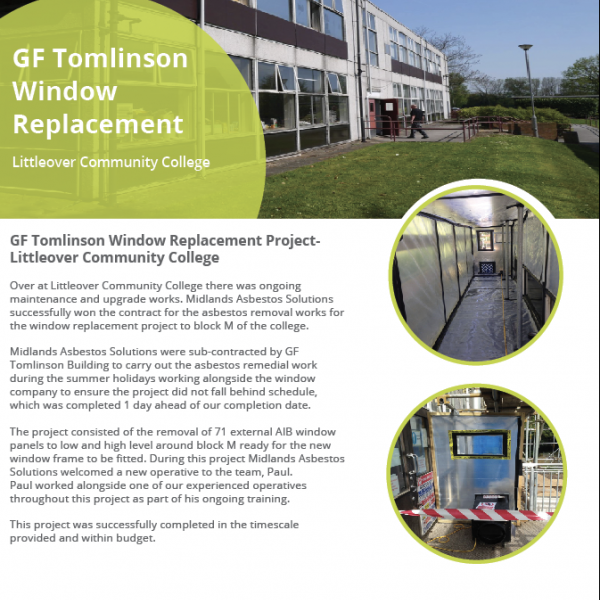 Over at Littleover Community College there was ongoing maintenance and upgrade works. Midlands Asbestos Solutions successfully won the contract for the asbestos removal works for the window replacement project to block M of the college. 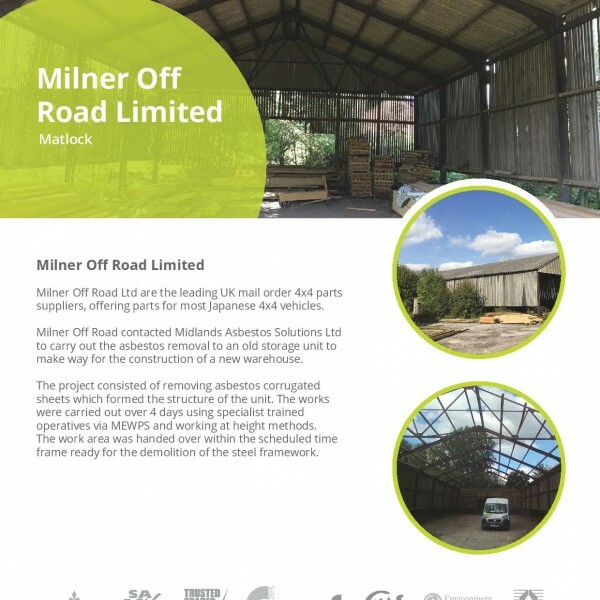 Milner Off Road Ltd are the leading UK mail order 4×4 parts suppliers, offering parts for most Japanese 4×4 vehicles. 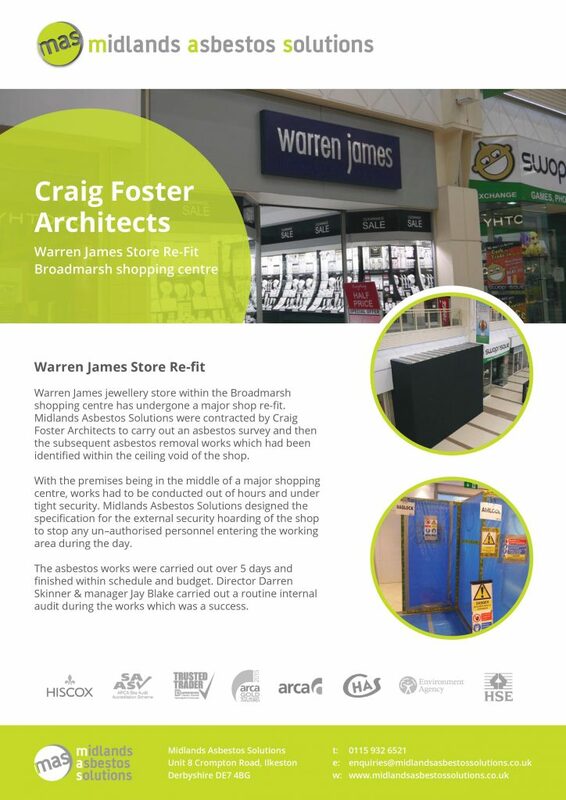 Warren James jewellery store within the Broadmarsh shopping centre has undergone a major shop re-fit. 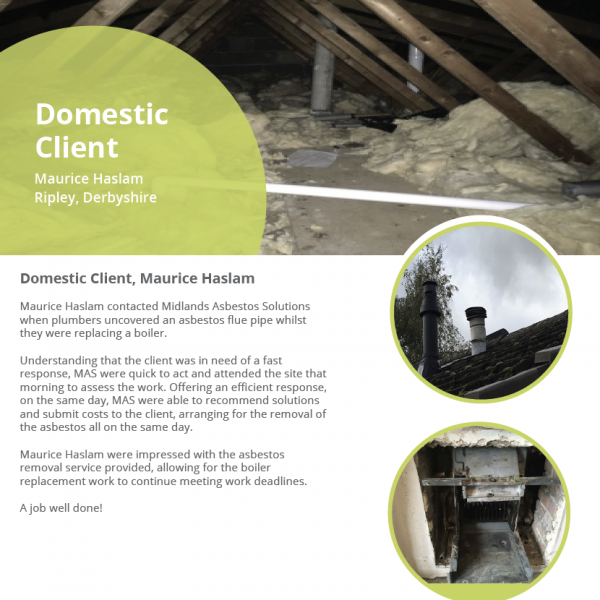 Maurice Haslam contacted Midlands Asbestos Solutions when plumbers uncovered an asbestos flue pipe whilst they were replacing a boiler. 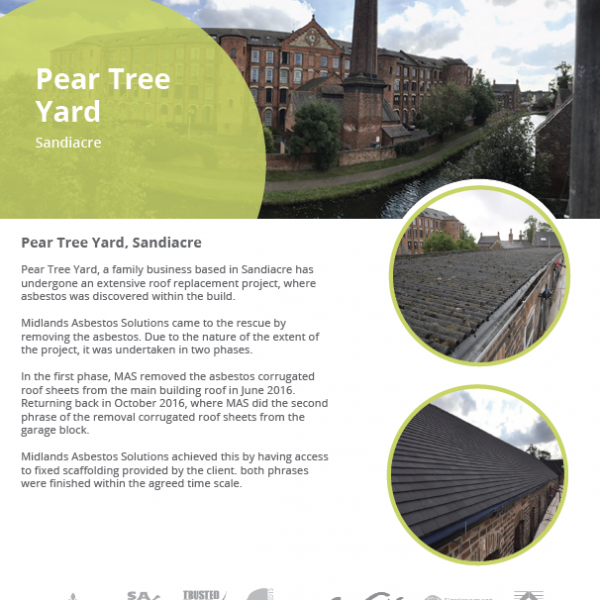 Pear Tree Yard, a family business based in Sandiacre has undergone an extensive roof replacement project, where asbestos was discovered within the build.